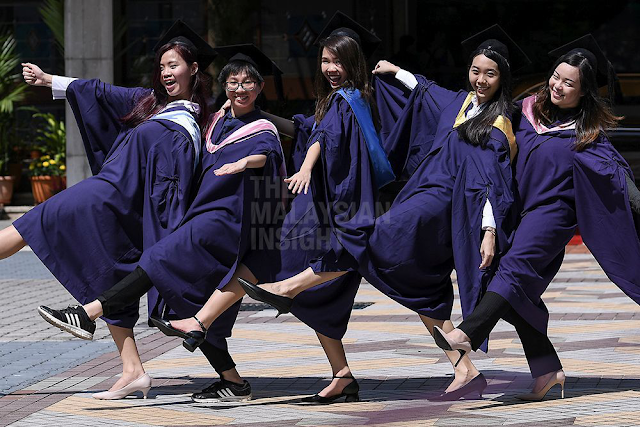 The Malaysian Insider (TMI) report titled “Lack of connections, status why some grads jobless” is shocking, unnerving, annoying and worrisome. “Is the report saying graduates are employed not based on merit, qualification or competency?” Gerakan Deputy Speaker Syed Abdul Razak asked. “For that matter, are employers recruiting, even non-graduates, without giving priority to potential skills and talent. Employing based on connections and status is certainly not going to do any good in the long-run,” he added. He said the backbone of any company or country “is the strength and competency of its workers or human capital”. “If the backbone is weak, you can be sure that it will break or collapse … it’s only a matter of time,” he added. Syed Razak, who is Gerakan’s nominee to contest N.37 Bukit Lanjan in the coming 14th General Election (GE14), said the success and sustainability of any company or nation “depends on the “competency, growth and progress of its human capital”. “Therefore, it only makes sense for employers to hire only the best brains and skills, not on his or her connections and status,” he added. The rate of unemployment among youth aged between 20 and 24, which included grads and non-grads, had remained between 7% and 10% from 1998 to 2015, regardless of the growth rate. – The Malaysian Insight file pic, March 27, 2018. THE popular view is that unemployed graduates have only themselves to blame for their predicament with unrealistic salary demands and job expectations. But a study by a think-tank has challenged that view, saying family connections and which public university a graduate attended were important factors to getting hired. More than 80% of unemployed degree holders expected a salary of less than RM3,000, while 70% unemployed diploma grads asked for less than RM2,000, according to the Political Studies for Change (KPRU) centre. After analysing eight years of data from the Higher Education Ministry, KPRU also found that there was a worrying trend of inequality among grads. Grads of public universities in poorer states, such as Kelantan, Terengganu and Sabah, have a harder time landing their first job versus grads from institutions in richer states, such as Selangor and Kuala Lumpur. The study’s author Ooi Teik Khim described the problem in terms of 3Ps: poor families, poor states and poor social standing. “The majority of unemployed graduates come from poor families or low-income households and poor or low-income states. They also have poorer social capital, presumably because they come from a lower social class,” said Ooi, an economist affiliated with KPRU. The “Graduate tracer study 2007-2015: Broken Malaysian dreams” said this trend in inequality will lead to social unrest in the long run. For the current generation of youth, the Malaysian dream of having a better life through tertiary education has been broken, said Ooi. “They witnessed numerous success stories in which someone from a low-income family moved into the middle and upper class through tertiary education and hard work,” said Ooi. The study analysed data from surveys of fresh diploma and degree graduates conducted by the ministry from 2007 to 2015. In 2015, for instance, the ministry surveyed 229,568 graduates from 22 public universities in the peninsula, Sabah and Sarawak. The ministry’s survey identified the reasons graduates were unemployed, their job search methods and the amount of time they spent looking for jobs. Grads were also asked whether they were temporary or permanent workers, their expected salaries and top criteria when applying for a job. KRPU’s study then compared and analysed each year’s findings to look for trends in unemployment among graduates. Besides the aforementioned patterns, Ooi said the data revealed that the rate of unemployment among youth aged between 20 and 24, including grads and non-grads, remained between 7% and 10% from 1998 to 2015, regardless the economy’s growth rate, he said. After subtracting the number of fresh graduates not actively looking for work, Ooi said, the real unemployed graduate rate was between 24% and 28% between 2008 and 2015. The more eye-opening findings were the backgrounds of the unemployed grads. 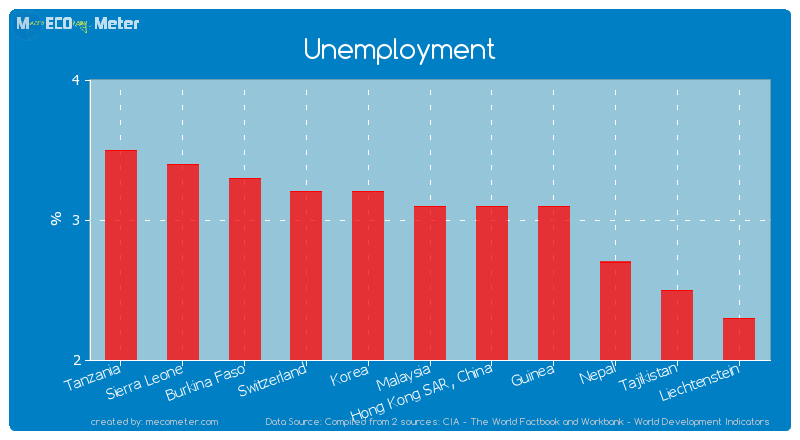 Kelantan, Sabah, Terengganu, Perlis and Pahang were the top five low-income states with the highest number of unemployed grads. The average unemployed graduate rate in Kelantan was 34.8%, followed by Sabah (34%), Terengganu (33.2%), Perlis (27.7%) and Pahang (27.4%). In contrast, Putrajaya had the lowest grad unemployment rate at 14.5%, followed by Kuala Lumpur and Selangor at 18.6%, Penang (21%) and Johor (22.9%). At the university level, the top five highest graduate unemployment rates were recorded at: Universiti Malaysia Terengganu (UMT) at 46.4%, Universiti Malaysia Kelantan (UMK) 44.5%, Universiti Malaysia Sarawak (Unimas) 43.3%, Universiti Malaysia Sabah (UMS) 42.6% and Universiti Malaysia Perlis (UniMAP) 40.9%. “UPSI is an outlier as it produces graduates for the high-demand education industry,” said Ooi. After UPSI, two of the institutions with the lowest graduate unemployment rates were in Selangor – Universiti Putra Malaysia (UPM) at 18.8% and Universiti Institut Teknologi Mara (UiTM) at 19.9%. This was followed by Universiti Teknologi Malaysia (UTM) in Johor at 20.1%, Universiti Malaya (UM) at 21.2%, and Penang’s Universiti Sains Malaysia (USM) at 22.2%. Ooi, however, could not say whether the difference in unemployment rates was due to the quality in education at these universities, which would in turn produce either better or poorly trained grads. “This is something that we must investigate in another study. For now, the 3Ps in graduate unemployment might happen for two reasons. “Firstly, low-income states offer insufficient job opportunities for graduates from those states thus forcing them to migrate to wealthier states, such as Kuala Lumpur and Selangor. “Secondly, when graduates from low-income states look for jobs in in these wealthy states, they tend to lose out to local graduates who have better social capital or connections,” Ooi added. – March 27, 2018."